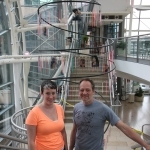 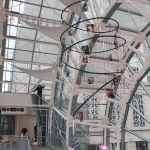 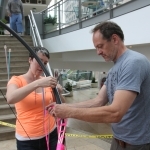 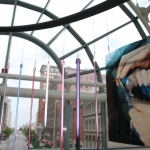 Knit and Purl, a 75-foot long sculpture aloft in the Indianapolis Artsgarden, is an aesthetic meditation on the life and beauty of human hands shaped by an older technology – knitting. 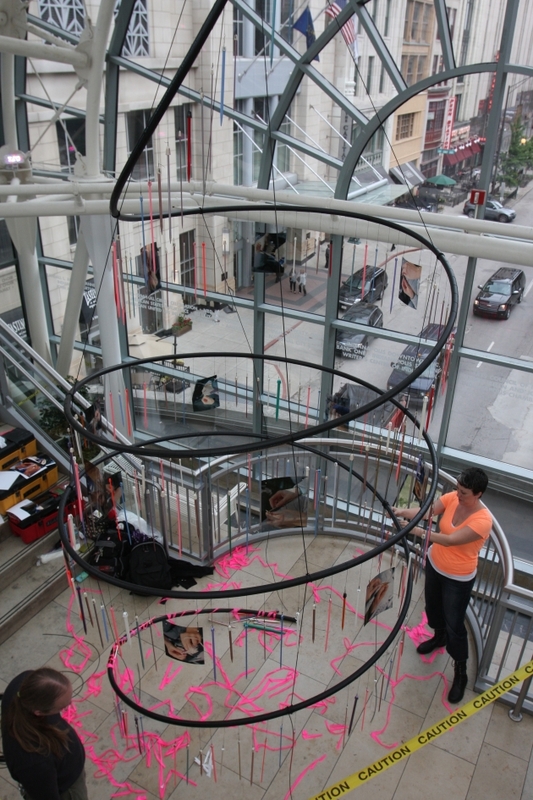 Theater of Inclusion (TOI), the collaboration between artists Dante Ventresca and Rebecca Hutton, conceived of Knit and Purl, as a simple, large scale, post-it note to remember the extraordinary reach of humanity through the behavior of its hands when engaged in a shared practice. 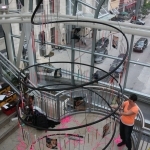 Knit and Purl also serves as an invitation to people all of ages, genders, neighborhoods, and degrees of knitting experience to use their own hands to knit a gesture of hospitality by participating in Super Scarves, a program launched by the 2012 Indianapolis Super Bowl Host Committee.